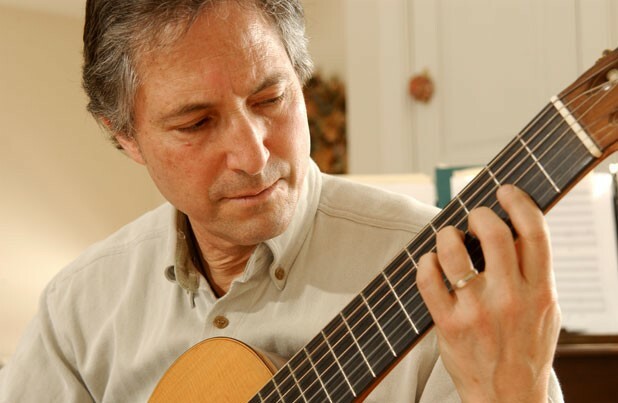 Once upon a time, University of Vermont Spanish teacher Sam Guarnaccia Jr. was a rising classical guitarist, performing all over the world. Then one morning, during a run of concerts, he awoke to find he couldn’t play a note. “It was really terrifying,” Guarnaccia says in a recent phone interview. His fingers were “doing things they really shouldn’t be doing,” he recalls. Guarnaccia was diagnosed with focal dystonia, a neurological condition that affects very specific parts of the body — in this case, his hands. “It forced me to go in a different direction in my life, rather than public performance,” he says. Specifically, he turned to neoclassical composition. This Friday, the All Souls Interfaith Gathering sanctuary in Shelburne will host a CD release party for a new album of Guarnaccia’s compositions, A Celtic Mass for Peace, his collaboration with noted Scottish poet, scholar and former Iona Abbey warden J. Philip Newell. Newell is currently the Companion Theologian for the American Spirituality Center of Casa del Sol at Ghost Ranch in New Mexico. In 2005, Guarnaccia’s wife introduced him to Newell’s writing. On his website, the musician recalls becoming fascinated with the poet’s “clear and powerful exposition of the Celtic expression of the life and teaching of Christ.” Later that year, the two men met in person. 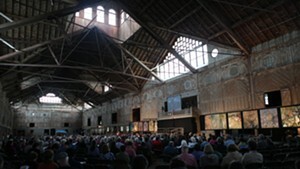 During a weeklong visit with Guarnaccia in Charlotte, Newell penned the text for A Celtic Mass for Peace. Over the next three years, the two collaborated on the music — often across the Atlantic, with Newell offering suggestions on Guarnaccia’s new work. With Guarnaccia’s score, Newell’s mass has since been used as the liturgy in services across the U.S. and Europe. Last year the project was recorded at the ASIG sanctuary by Charles Eller with musicians and vocalists from America and Scotland, as well as a blend of classical and traditional Celtic instruments. Sam Guarnaccia celebrates his new CD with a release party at All Souls Interfaith Gathering sanctuary in Shelburne this Friday, May 8, at 6:30 p.m. For more info, click here.